Modern Indian artist Francis Newton Souza’s 1948 painting “Golgotha in Goa” will go under the hammer at Sotheby’s upcoming Modern & Contemporary South Asian Art auction in New York on March 18. The artwork which will be on view at The Leela Palace here on Friday and Saturday, is estimated at ~1.78-2.49 crores (approx). Painted at the time when Goa was still under Portuguese rule, the work demonstrates the profound influence of Catholicism on Souza’s personal and artistic development. “It evokes faith, exudes an indefinable emotional appeal, and captures the essence of Catholicism in Goa as few other works do," said Anu Ghosh-Mazumdar, Head of Sotheby’s Indian, Himalayan & Southeast Asian Art Department in New York. In this early and important work, Souza adopts his formal composition from the altar at Golgotha in Jerusalem — the place where Christ was crucified. Three large sconces envelop the altar at Golgotha and gold squares containing icons and paintings make up the background. The title “Golgotha in Goa” suggests that while this scene is rooted in Goa, it is a reflection of Golgotha nonetheless. 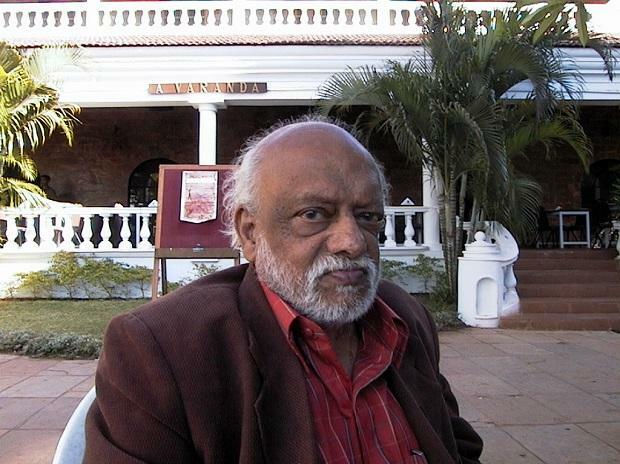 The work was completed not merely in the year after India gained independence, but also the year after Souza founded the Progressive Artists Group and married Maria Souza, indicating that that was a small but crucial period between his total embrace of the modern and departure from the traditional, academic style. In this work can be seen the beginnings of his foray into Fauvism and Expressionism. According to the auction house, Souza retained the painting in his personal collection until just a few years before his passing. It was acquired from the artist by a fellow Goan private collector who cherished it as long as he lived. “This jewelled, stained glass-like picture was a ‘discovery!' After over a decade of pursuit, Sotheby’s now has the great privilege of bringing this masterpiece to auction – one of the rarest, earliest oils by Souza ever to appear on the market. Less than a handful of works by the artist from this period have appeared at any auction in the past decade-and-a-half," Ghosh-Mazumdar said.